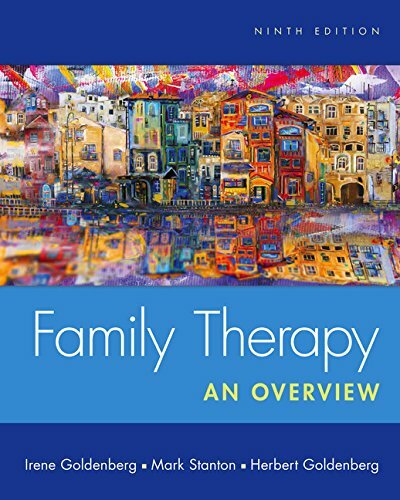 1305092961 -Completely up-to-date, this engaging and practice-oriented text is your complete resource to help students master the many facets of family therapy. In this ninth edition, the authors provide practice-oriented content in a more concise format that will help students become empathic and effective family therapists. New material focuses on how students can practice systemic thinking and on how to develop core competencies in family therapy. There is also increased attention to LGBTQ families and alternative forms of family life, and to gender, culture, and ethnic considerations. Color-coded boxes highlight key aspects of family therapy, such as family diversity, evidence-based practice research, “Thinking Like a Clinician” student exercises, case studies, clinical notes, and therapeutic encounters. Examples illustrate family therapists from many professions, including social work, MFT, psychology, and counseling. Learning objectives focus students’ attention on key concepts.